Emma wrote a very creative piece linking the idea of “grokking” with sci-fi examples. A perfect, albeit almost comical, example of grokking that I can think of is the anthropologist character Isobel from the fantasy series The Vampire Diaries. Isobel’s character was a bit standoffish, ignoring those around her by continuously immersing herself in her research. She was investigating murders in her town and the evidence was piling up that vampires existed and that they were behind the murders. In the episode “Isobel” (S1E21), her character is shown further, not only as an anthropologist interested in vampires, but that she wanted to become one and saw vampires as being superior to humans. In this case, she actually became her research. Despite Geertz’s warning of losing professional objectivity, in this case it didn’t matter. 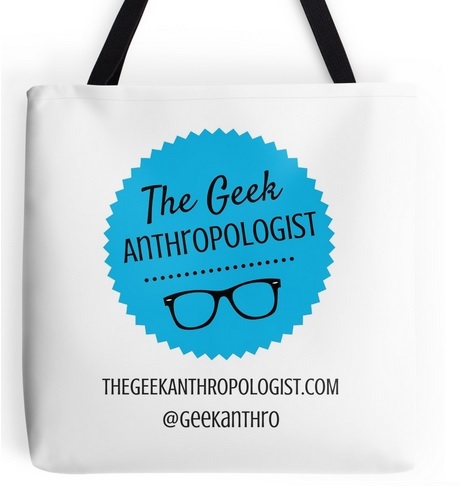 Luckily, today, we don’t find many anthropologist turning into vampires. The slippery slope concept does comes into play here though and begs the question, at what point do anthropologists lose their detachment? Unfortunately for this question, human nature is complex and there is no one way to know that tipping point. If only there was a little bell that would ring to tell the researcher, “Ok, you’re too involved now, better step back!” In general though, this can happen to anyone. Some people are workaholics and work crazy hours at the expense of other aspects of their lives. I think any person could become immersed too far into their work, but typically anthropologists realize the need for a certain amount of objectivity and they learn about self-reflexivity to try to understand more about their own place within the research. Emma also mentioned that once anthropologists became more reflexive and aware of how colonialism was influencing their work with indigenous cultures, anthropologists learned not to see certain cultures as bounded, discrete systems. Non-anthropologists however, tend not to fully comprehend this idea. Scientists and government agencies are working together to, and I say this intentionally, “harvest” indigenous people’s blood. Kim Tallbear has done extensive research on this and says, “The blood of indigenous peoples, understood as storehouses of unique genetic diversity due to their presumed long physical and cultural isolation, is highly sought after, and to be collected quickly” (2013:2). This idea falls in line with the idea of the “vanishing uncontacted tribes” that Marie-Pierre talks about in her commentary of the underdog post. I believe that science fiction can use anthropological knowledge in order to debunk some of the prevailing and harmful misconceptions that pervade our world regarding other cultures. Going forward, maybe all media companies should hire an anthropologist as a consultant. 2013 Genomic Articulations of Indigeneity. Social Studies of Science. 43(4):509-533.